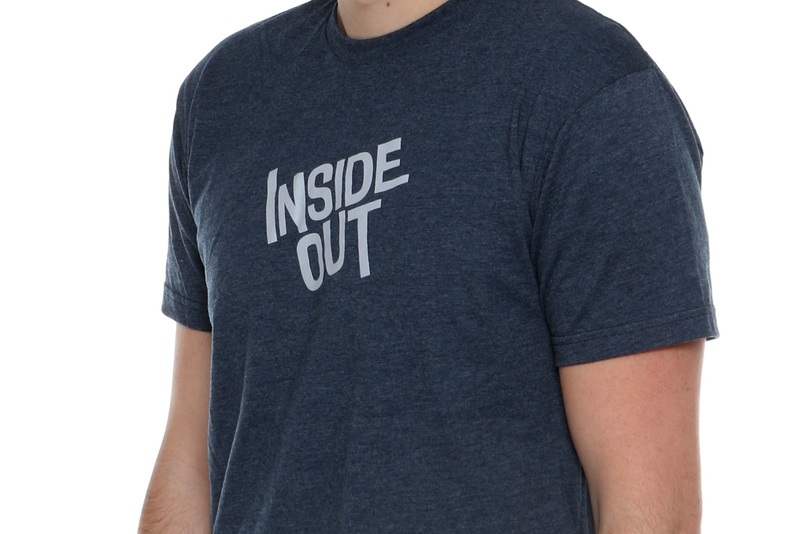 With Inside Out just right around the corner, fantastic merch continues to flow out. 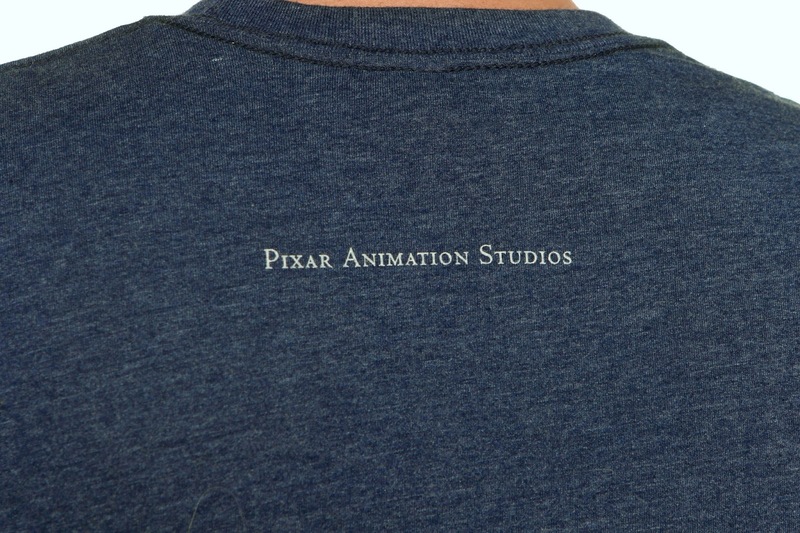 This tee, featuring the film's logo, is special though- as it's only available at the Pixar Studio Store in Emeryville, California. A huge thanks to my good friends over at PixarPost.com, who generously picked this up for me during their time there at the recent Inside Out press event! I was so thrilled to receive this as it's the closest thing I have to actually going there. Much appreciated! This t-shirt is perfect for me. It's the exact style of tees that I love; it's a thinner material, is super soft, has a minimal design and has a nice, slim fit. Highly recommended if you're lucky enough to get to the Pixar store! 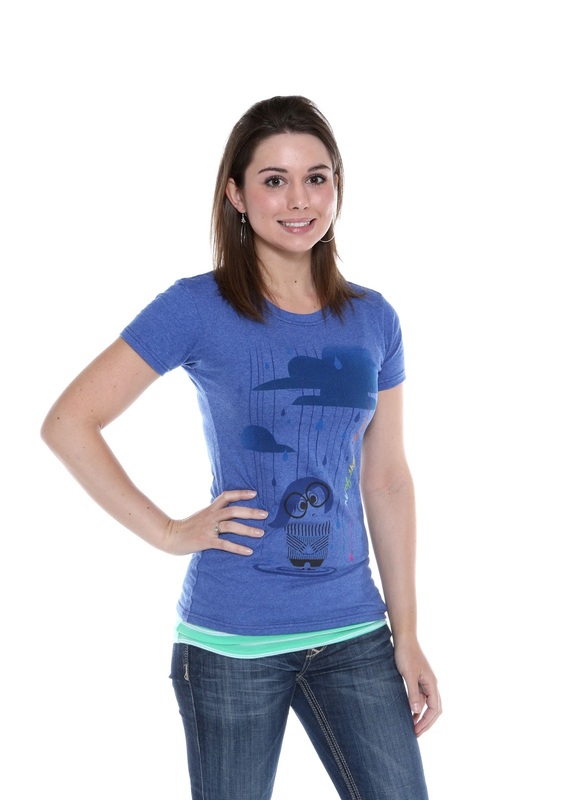 As a bonus item today, I'm also posting about the brand new Inside Out women's tee featuring sadness...now available at the Disney Store! My wife doesn't have a Pixar collection herself (in fact this might be the only thing Pixar she has), but she got this to wear at my recent birthday party and to the NYC advanced screening of the film that we went to yesterday (my full spoiler free review of Inside Out will be up tomorrow). On the side of the shirt it reads "one of those days" in rainbow lettering. 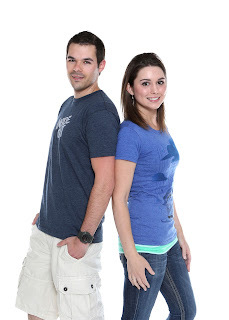 From what Brita has said, the shirt is soft, has a nice fit and is very comfortable...and you have to love the graphic featuring the adorable Sadness among rain clouds! 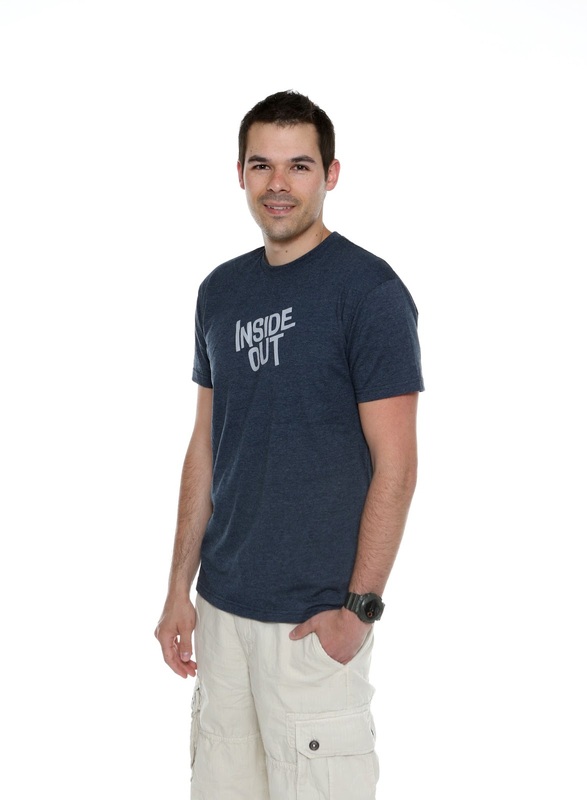 You can pick up the Sadness tee at the Disney Store HERE for $19.99. Be sure to get it before it's gone! Things seem to come and go pretty quick at the Disney Store.